Việt Nam has urged the US government to consider excluding Vietnamese products from its new announcement on tariff measures for imported steel and aluminium. 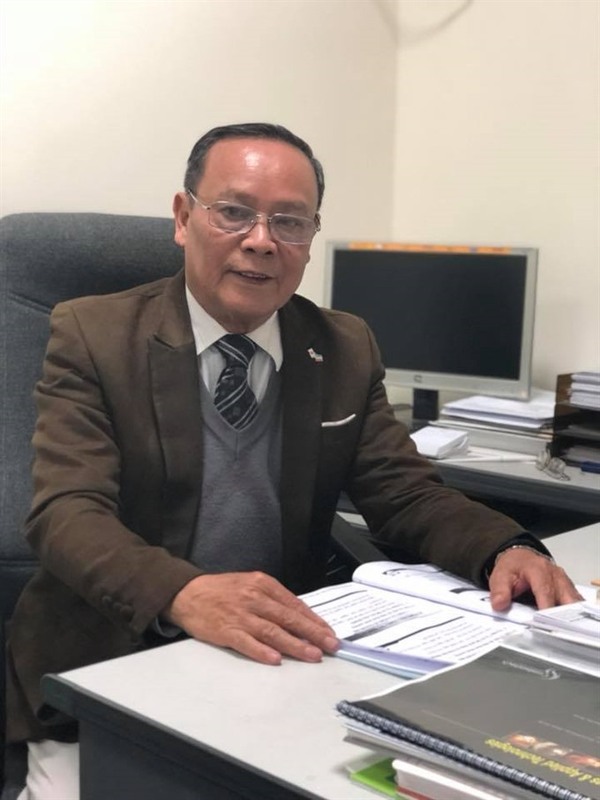 Chu Đức Khải, Vice Chairman and General Secretary of the Vietnam Steel Association (VSA), talks to Việt Nam News reporter Tạ Thu Giang about the challenges faced by Vietnamese steel makers after the decision. US President Donald Trump recently decided to apply 25 per cent tax on imported steel. How do you evaluate this decision? On March 8, President Trump signed a decree imposing a tax of 25 per cent on imported steel and 10 per cent on aluminum, with the exception of Mexico and Canada. We think this decision is contrary to the goals and intentions of the World Trade Organisation (WTO), of which the United States is a member, and is contrary to international practices. The decision goes against the purpose of WTO’s guideline to create equality of trade. With the introduction of this tariff, free trade ceases. What is the volume of Việt Nam steel exported to America? Việt Nam last year exported 4.7 million tonnes of steel to foreign countries, earning a revenue of US$3.1 billion. Of this, 567,000 tonnes of steel were exported to the US, occupying 12 per cent of Việt Nam’s total export. This volume accounted for just 1.67 per cent of the US’s steel imports. In 2016, the US imported 31 million tonnes of steel and in 2017, it imported 34 million tonnes. We can see that Việt Nam’s export volume of steel is quite small compared to the US’s volume of import. I want to stress that Vietnamese steel products sold to the US are intended for use in civil construction, not for infrastructure or defence purposes and thus, does not affect the US’s national security. Việt Nam’s export of steel accounts for a small proportion of US’s steel imports. It does not damage or threaten the US steel industries. With such marginal volume of export, why is Việt Nam named in the group of countries which most affects the US economy? This move comes in the context of Chinese steel products exported to the US falling sharply when the US imposed 14 anti-dumping duties and 10 self-defence taxes in 2016 and 2017. Meanwhile, Việt Nam is a country next to China, whose steel exports to this country have increased rapidly. The US suspected Việt Nam of importing steel from China and then exporting to the US. In a letter sent to the Việt Nam Ministry of Industry and Trade, the Vietnamese Government and the US Department of Commerce, VSA said before July 2017, Việt Nam had not manufactured hot-rolled coil steel, so it had to import from other countries, including China, Japan, South Korea, Indonesia and Russia. We imported hot-rolled coil steel with thickness of 6-7mm. It was then cold rolled down to below 1mm and processed through zinc or aluminium coated and colouring before being exported to foreign countries. The process of making thiner steel is huge and helps businesses to create added value and change Harmonised System code. But it’s not just about importing hot-rolled steel and simply processing it before export. Vietnamese businesses have invested hundreds of millions of dollars in modern technology to produce high-quality cold-rolled steel and galvanised steel products that meet the stringent standards of the US and Japan. I affirm Việt Nam will easily solve this problem because it is able to produce enough hot-rolled coil steel from this year onwards to make other steel products, ensuring the Vietnamese origin. Although it will certainly be difficult for Vietnamese steel manufacturers after the US’s tax decision, Việt Nam’s steel industry will still promote its export to the world market, including ASEAN which is currently Việt Nam’s main market for steel, accounting for 59.3 per cent of exports, and domestic consumption with a population of more than 90 million. How will Việt Nam’s steel businesses be affected after the decision of the US President? Vietnamese enterprises are facing a lot of difficulties because they have to compete with large steel makers who are experienced in the market economy, such as Japan, South Korea, China and the European Union. In particular, we have to compete with countries that have geographical proximity to the US, such as Brazil, Canada and Mexico, as a result of which their costs of transporting goods to the US is cheaper, making their steel prices more competitive. In the open market economy with a deep and large integration, the price of raw material of the Vietnamese steel industry is in common with global steel prices. With the same kind of product, if the cost of one company is 10 per cent higher than the others, it won’t be able to compete with other companies in the market, not mentioning the 25 per cent tax on imported steel to the US. If Việt Nam’s steel export to the US is reduced, Vietnamese steel companies will face many difficulties. For example, the expected volume of export will have to return home and domestic competition will be higher because of the decline in the export market. Việt Nam started exporting steel to the US some two-three years ago when the steel maker Hoa Sen Group sent the first batch of 20,000 tonnes of steel products. Vietnamese companies saw potential in the US market so they spent a lot of money in building facilities and advanced technologies to produce steel for exports. The US’ import tax on steel has been imposed at a time when the Vietnamese businesses’ investment has not been refunded, causing losses and unemployment. What are the solutions to help Vietnamese businesses retain their market share in the US? Our association has sent a letter to the Ministry of Industry and Trade to respond to the decision of the US President, asking for more measures to support steel makers. We will seek co-operation and consultation with other countries that are in a similar situation. If unsuccessful, we may consider co-ordinating with other countries to file a lawsuit against the US at WTO. We have proposed to the Government to negotiate this issue in bilateral negotiations with the US about products it wants to export to Việt Nam. This is to persuade the US to exempt Vietnamese steel from the import tax. This is for the interests of both sides. If we are not removed from the list, Vietnamese steel makers will have to minimise production costs to improve competitiveness so that they can maintain and occupy more market share in the US and other countries.